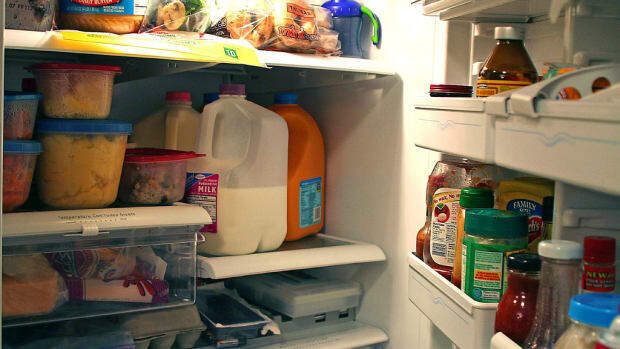 Food storage mistakes happen to the best of us: Delicious leftovers are sitting in your fridge, only you’re not sure how long they’ve been there. Your 10-minute phone conversation turns into a two-hour gabfest, preventing you from refrigerating the meal you premade for the kids. To top it off, there’s a smell and you have no idea where it’s coming from. As much as I love berries, if not stored properly they become little cesspools of bacteria, and sometimes mold as quickly as the next day! When you’re unpacking your next batch of groceries, immediately rinse your berries using a water/vinegar solution of three parts water to one part vinegar. Dry them thoroughly and store in a perforated container. 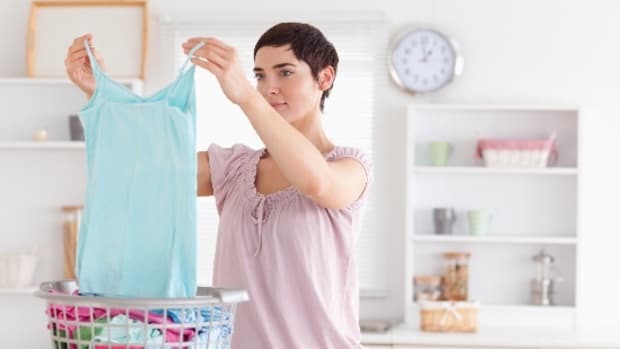 To prevent procrastination, keep a spray bottle of the cleaning solution under your sink at all times. Please, for the love of everything, don’t use the smell test: “If it doesn’t destroy my sense of smell/cause my eyes to burn, it must still be good.” Just stop it. I quit this nasty habit by magnetizing a dry-erase marker to my fridge. Plastic bags don’t allow the air to circulate, giving your greens the opportunity to rot in the blink of an eye. Use the snazzy perforated containers you purchased for your fruit as a way to keep your lettuce fresh for as long as possible. It’s important to not just label your freezer bag with the date you froze the food, but the contents of the bag. You might think you’ll remember a few weeks down the road, but take it from me: Once you have dozens of freezer bags in rotation, it’s risky. As you restock your freezer, make sure to pull the older bags to the front of the line. Since no one wants to do a forensic analysis of every canned good to find that microscopic expiry date, write it in marker on top of each can as you stock your shelves, making sure to pull the older cans forward. As for goods you’ve canned at home, write the date canned and make sure to use them within a year. Dents lead to tiny cracks along the dent, which leads to the canned good spoiling, which leads to botulism. Best to ditch the dented cans – unless, you know, you enjoy food poisoning. Buying dry goods in bulk is a great way to save money, but if not stored properly it could lead to unwanted critters and mustiness. 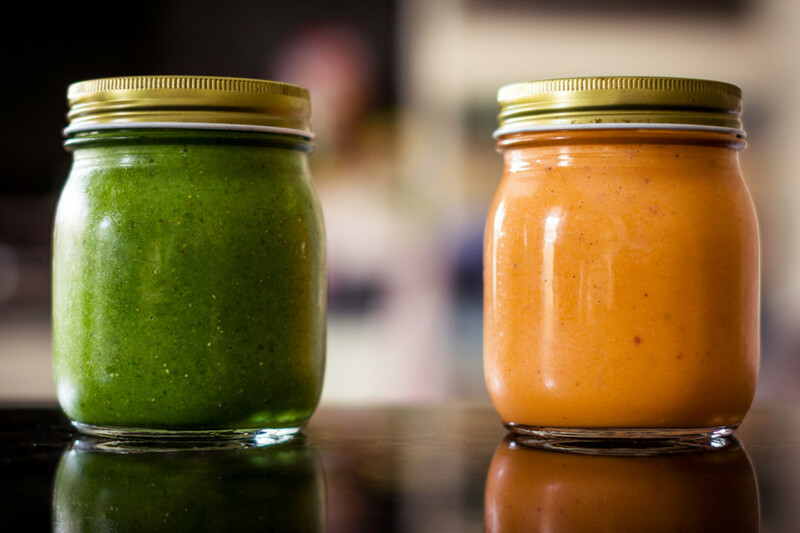 Airtight, glass containers are your best bet. Stock up on Mason jars, or reuse pasta and pickle jars from your cooking adventures. According to food safety experts at Penn State University, onions and potatoes release moisture and gases that will cause the other to spoil faster. Much like when the kids are fighting, store them in separate areas to keep them from killing each other. 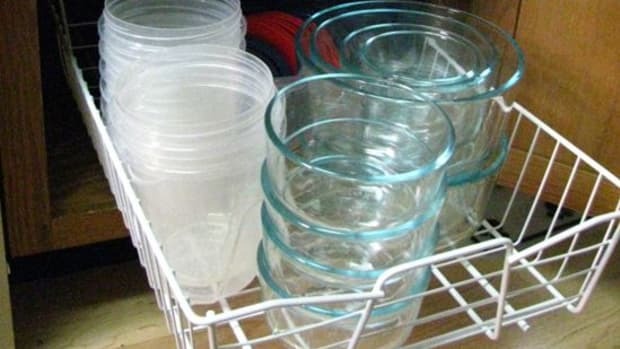 Without a variety of Tupperware, jars and bags on hand, of course you’re going to make food storage mistakes! It’s the perfect way to say, “Darn, so much for food prep,” and mosey on with your day. Another great food storage gadget to have on hand is a food vacuum system so you can break down your purchases into convenient, meal-sized portions. 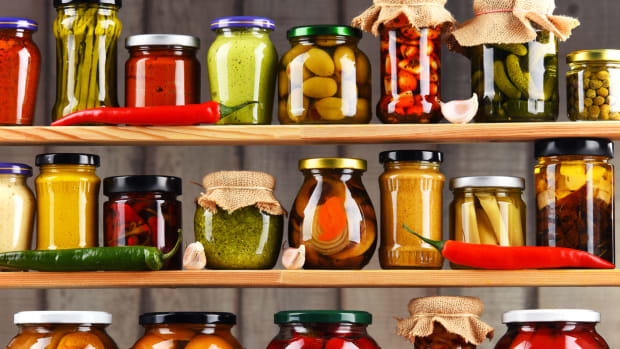 This is an easy (and understandable) food storage mistake to make, especially when trying to preserve more expensive foods. Keep the following mantra in mind: Purchase, use, replace. It really is that simple. 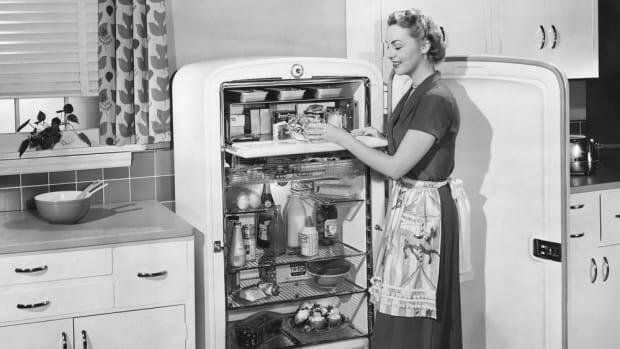 That way, all food in your home is as fresh as possible. 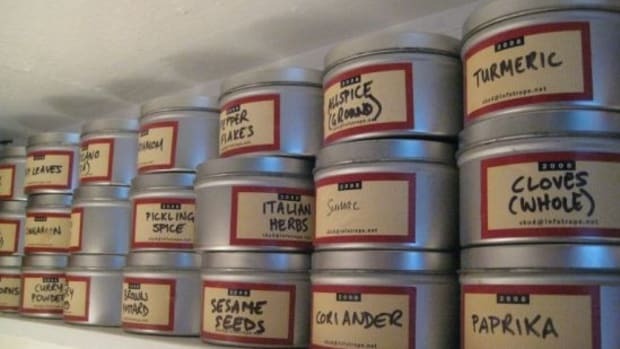 How do you make sure food storage mistakes are kept to a minimum in your home?